Property is currently zoned Open Rural and has a Mixed Use, Future Land Use designation. Parcel east of the subject property is PUD with Commercial General Uses and the parcel west of the property is the future home of the SR 313 interchange. FDOT has already secured the property. 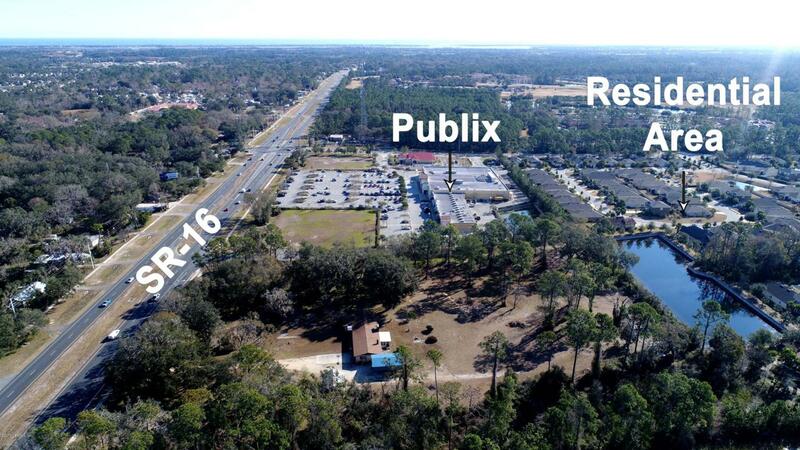 Current OR Zoning allows some commercial uses as defined by the SJC Land Development Code. Rezoning possibilities would allow for Commercial or Multi Family and since the parcel is less than 10 acres a straight, rezoning of the property is feasible. Existing SF residence and out buildings add no contributory value to the price.